The 64,500 sq. 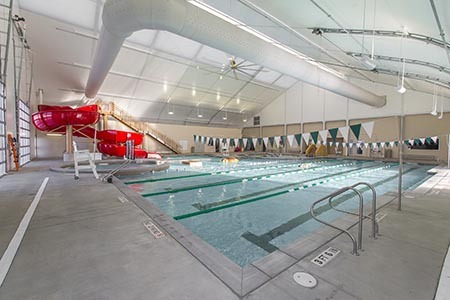 ft., two-story Miller Activity Complex (MAC) referred by the town as the “crowning jewel” of Philip S. Miller Park, features a natatorium complete with leisure amenities and fitness lap lanes, a 23-foot-tall indoor playground, a 3,500 sq. 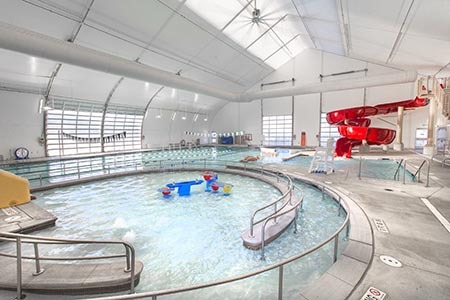 ft. indoor flex play area, indoor turf field batting cages, a golf simulator, locker rooms, and administrative offices for the Town of Castle Rock Parks and Recreation staff. 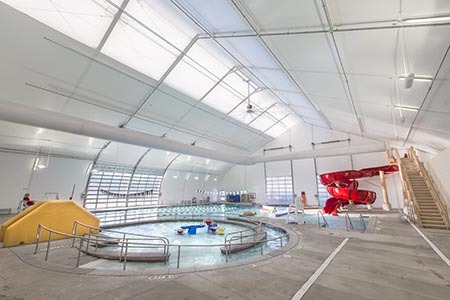 It took nearly $30 million in public and private funds to build all of the amenities which were designed in two phases. The MAC was the first phase which opened in October 2014 and construction of the second phase of this 270-acre park is scheduled to be completed in December 2015. Elements of this phase include non-traditional aspects such as a playground with 60-foot slide, seven miles of trails, a 200-step challenge staircase, a turf field, and the Headrush Towers. Future developments include an outdoor zipline, year-around Snowflex Park, plaza with splash pad, and outdoor amphitheater.